Human rights are the rights that every human being is entitled to irrespective of caste, class, race, gender, color or any other aspect. These are claims against the State and it is the duty of the State to ensure their protection as well as promotion. The most basic human rights are protected by the State under the chapter of Fundamental Rights in Constitution of India. Abuse of any of these fundamental rights comes under the ambit of Human Rights Law and can be challenged in the Court(s) pertaining to the enforceable nature of Fundamental Rights. Article 32: Right to Constitutional Remedies is known to be the heart and soul of Constitution of India for its remedial nature. Human rights have integrated into various laws over the years to safeguard dignity, equality, liberty, and justice for all. It is a social responsibility of the law fraternity to work towards safeguarding human rights for all. 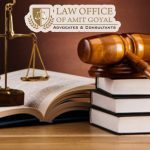 The best lawyers for human rights protection in Panchkula fulfil this responsibility by even taking up pro-bono cases on a regular basis to help people who cannot afford litigation. There are 5 types of prerogative Writs to resolve issues arising out of human rights violations viz.